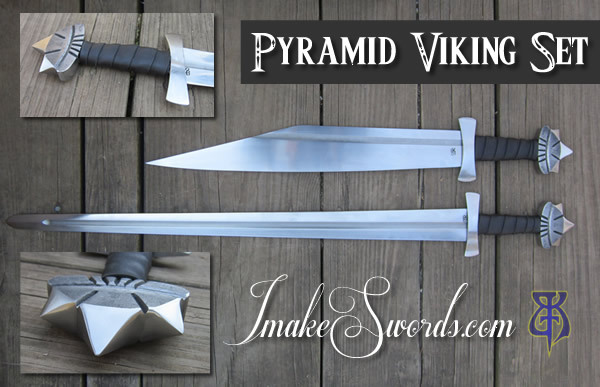 This is a small sample of our production Viking Swords. 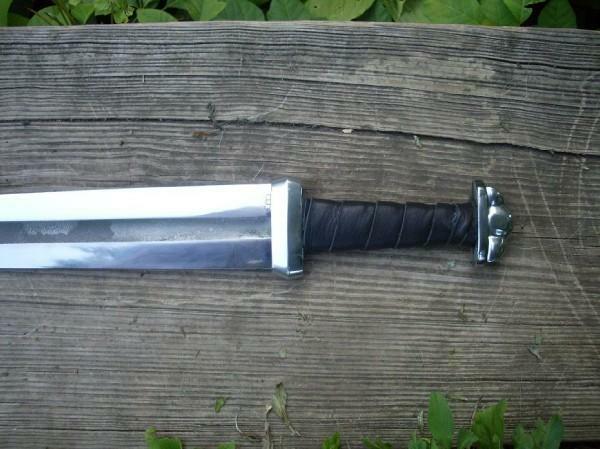 This viking sword is based off of our 30" production viking blade. It is full ground and with a polished fuller. 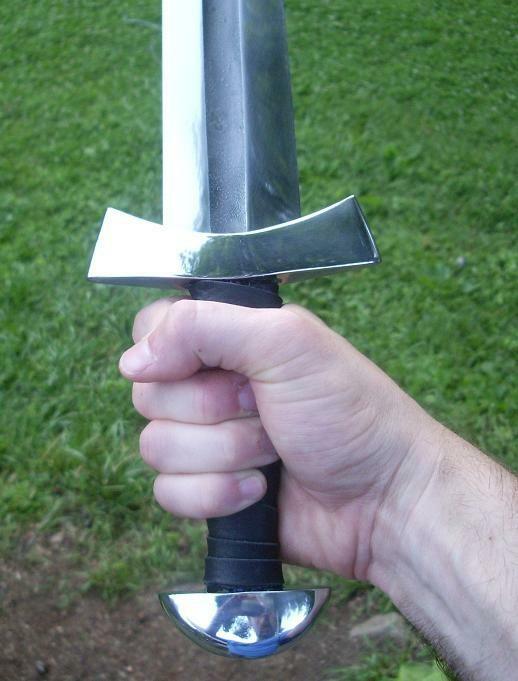 The hilt is a simple downturn from 5/8" stock. The single lobed type 5 pommel is fully polished. It is full ground and with a scaled fuller. 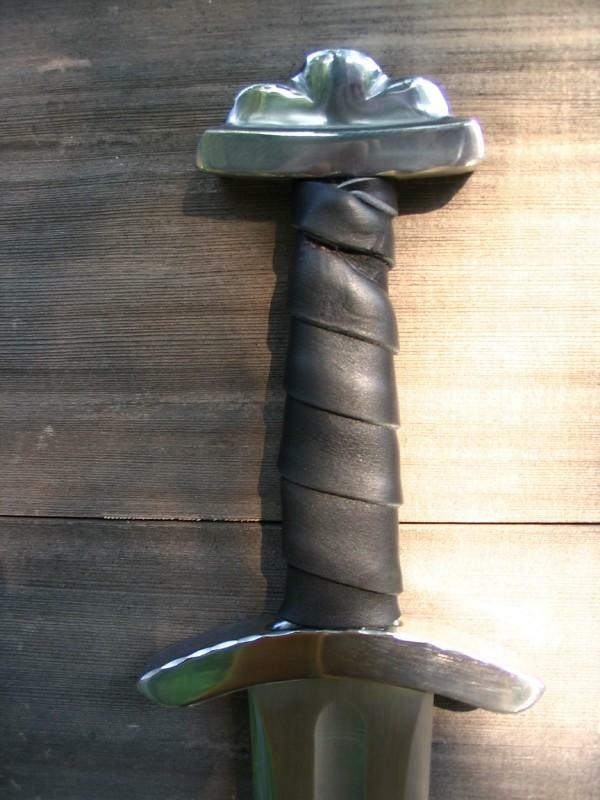 The hilt is a simple beveled bar. 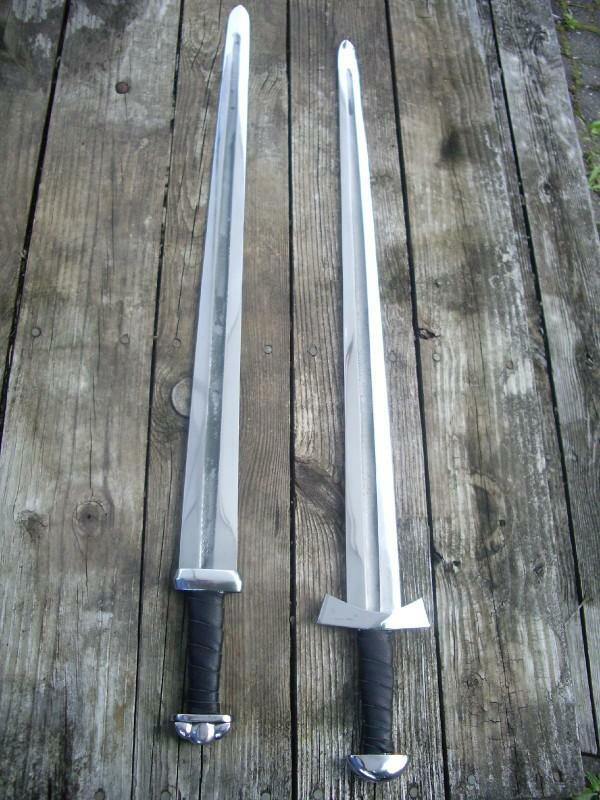 Seen on later period swords. The single lobed type 5 pommel is satin finished. 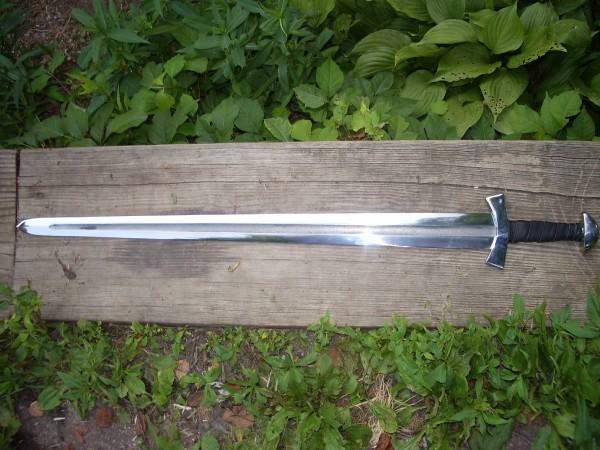 short two piece tri-lobed pommel. Hand forged bow tie guard. 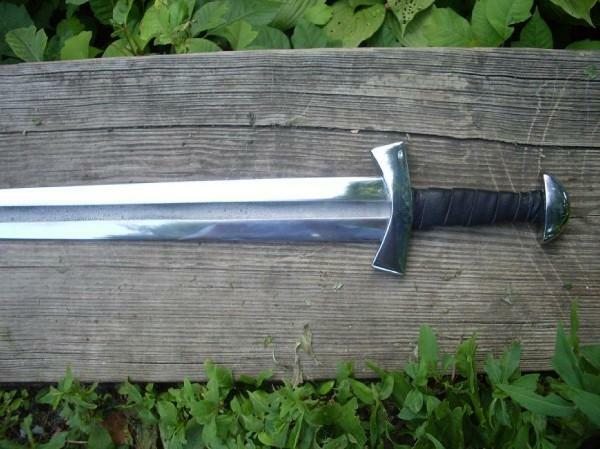 Our Standard full ground viking blade.